I love maasim! It’s a rare true-blue Pilipino who doesn’t love the taste of asim. And we use several pampaasim (or souring agent) for our favorite dishes. We have fruit — sampaloc (tamarind), kamias, santol, batwan. And we have vinegar. So many kinds of vinegar to choose from, in fact. Sukang Iloko (made from sugarcane), Sukang Tubâ (made from coconut), Sukang Pinakurat (made from fermented coconut sap but spiced up with mountain-grown “kulikot” chilis in Mindanao), many other variants of spicy vinegars the most famous of which is Iloilo’s Sukang Sinamak. And, of course, there’s Sukang Paombong. Or as I knew it in Pampanga, Sukang Sasâ (made from nipa palm). Sukang sasâ is what my Kapampangan grandparents used to put in their dishes, such as paksiw, sinigang, dinuguan, etc. I’ve been craving it for quite some time now, but somehow, the ones I’ve tried simply did not measure up. They did not have that distinctly flavorsome sourness that my tastebuds recall. Then Poch Jorolan came along. Poch Jorolan, himself a chef, is the scion of the Santos-Jorolan family that established and still runs the famous and much loved Everybody’s Cafe, which is regarded as the go-to place for classic Pampanga cuisine. Poch gave me a bottle of authentic Sukang Paombong/Sasâ to try, which he and his partner, son of Bulacan’s esteemed food historian and culinary icons, Ka Milagros Enriquez, have developed. It is called Pamana ni Ka Mila Sukang Bulacan. I didn’t realize then that Sukang Sasâ (from Pampanga) and Sukang Paombong (from Bulacan) were actually one and the same. 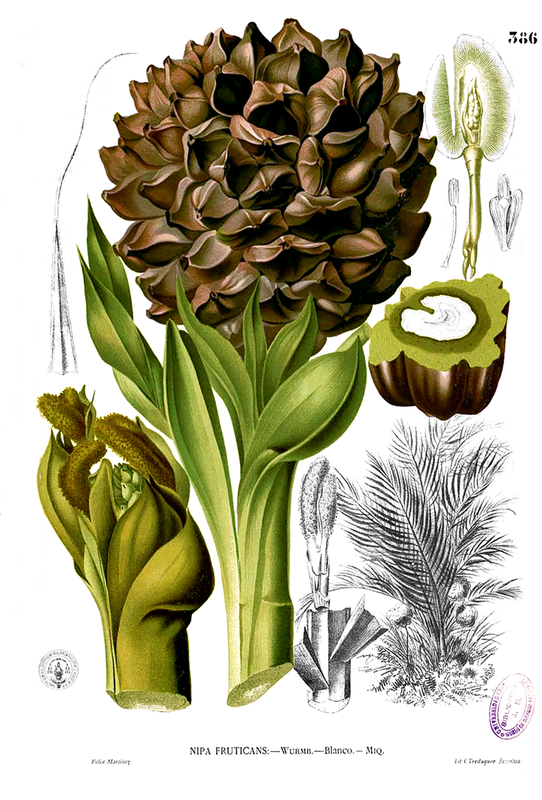 The marshy environs of Bulacan and Pampanga are ideal habitats for the nipa palm, which is called sasâ. And sukang Paombong is named after the municipality of Paombong, Bulacan, where nipa palm vinegar-making was once the primary industry. The 1991 eruption of Mt. Pinatubo, however, had decimated most of the nipa palm plantations of Pampanga; that is why, for many years, authentic Kapampangan sukang sasâ was difficult to find. Now I’m no professional taster but I do love my vinegar. So I figured tasting vinegar is similar to tasting wine. I poured about 10 ml (or 4 tablespoons) of the vinegar into a small glass cup and swirled the liquid to bring together the vinegar’s natural aromas. Then I inhaled. The aroma was just how I remembered sukang sasâ smelled. Sour, of course, but not too sharp. It has a gentle kick — a full-bodied, well-rounded flavor and just the perfect amount of acidity which other vinegars do not have. I slurped a bit of the vinegar — the sourness was touched with just a nuance of sweetness and a delicate woody taste. I love it! I love it so much that I just have to drink it after soaking — yes, soaking, not just dipping — my favorite grilled liempo, daing, tuyô, tapa, chicharon bulaklak, tokwa’t baboy, and… well, you get the idea! (I bet you guys do the same thing.) Yes, this is the vinegar I’ve been searching for! Dacal a salamat, Poch. 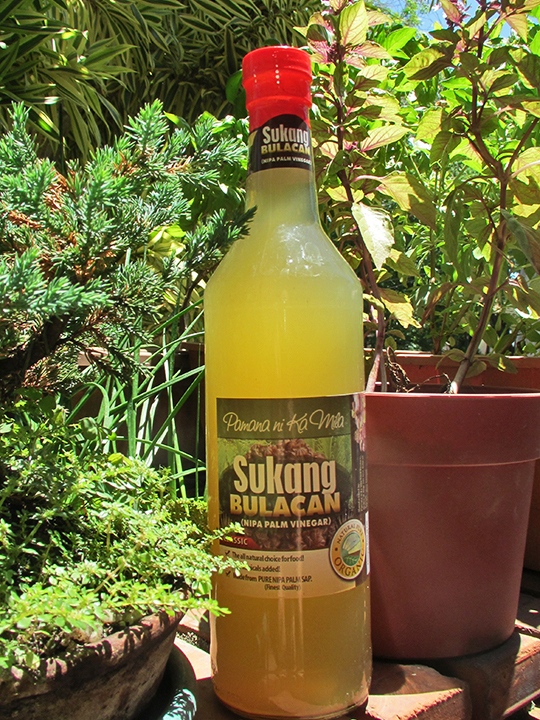 To all vinegar lovers like myself, you’ll be pleased to know that Pamana ni Ka Mila’s Sukang Bulacan will soon be available at the outdoor weekend markets in Salcedo Village and Ayala Alabang Village. But for now, if you’re interested, you may get in touch with Poch Jorolan directly. To order, SMS him at 09175108961 or email him at poch168@gmail.com. Ask him, too, about the Nipa Palm syrup, which is an all-natural and effective remedy for allergy, especially allergic rhinitis. I’m getting some of that, too.